Do you believe yourself as a tech Geek! Are you a person who wants to change the world by technology. In this time, AI and Machine learning is not only a trend but also a tool to change the world from your desk. You don’t need a fully functional laboratory or rocket science to work with these technologies. You just have to think, sit and develop, like a geek! Today I am here with a beautiful and useful RSS and Podcast App – “Winds” for Linux. “Winds” is free and open source multiplatform beautiful RSS reader specially developed on stream AI. The best thing about “Winds” is its based on AI and machine learning technology to give you better services. It also supports live podcasting! If you used Feedly in your Android or iOS device “Winds” will be your next choice for your Linux devices. “Winds” has beautiful and eye-catching UI with web support. You can use this RSS reader in your windows, Linux or Mac device. 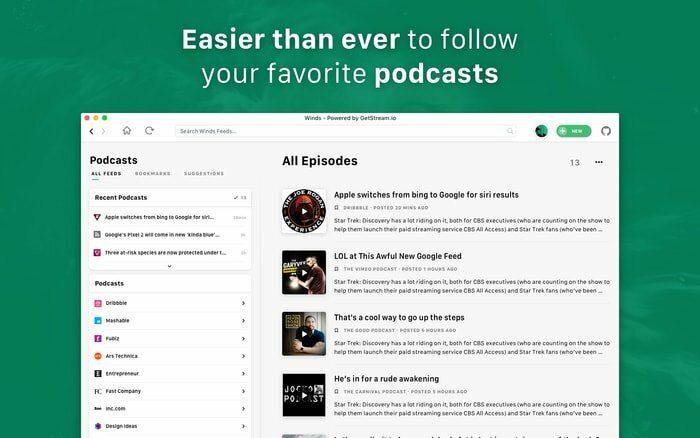 Free and Open Source – “Winds” RSS and Podcast app is a free and open source multiplatform software for Linux, Windows, and MacOS. 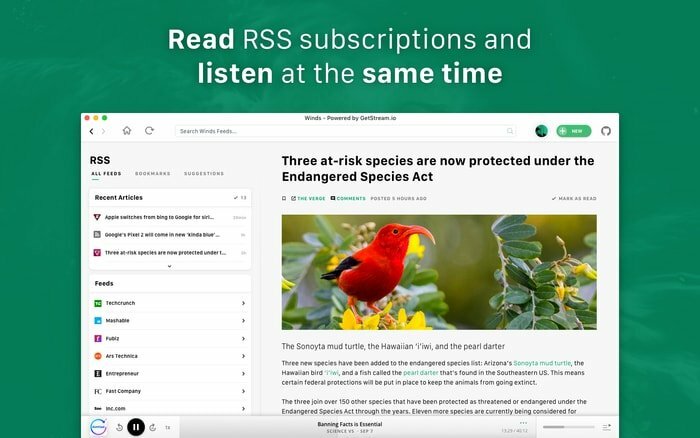 RSS Reader and Live Podcast – This machine learning and AI-powered app combine both an RSS Feed Reader and Podcast service. You can read different topics online, and listen to live and old podcasts. Beautiful and Straightforward– I personally loved this app for its simplicity. It offers an eye-friendly UI and tab-based news feed to find your interest. It uses React/Redux/Node to utilize correctly. Powered by Machine Learning – As I have described above that this Podcast app is based on AI and machine learning technology which makes it stand alone in this category. It learns your content pattern and gives best services accordingly. Multiplatform Support – This app is not only for Ubuntu or Linux, but you can also use it in windows, iOS and as a web client. Its modern and scalable dynamic design made it possible. OPML Support – You can use your OPML file and export to “Winds”. Is this tutorial helpful? Let us know about your experiences and suggestion in the comment box.